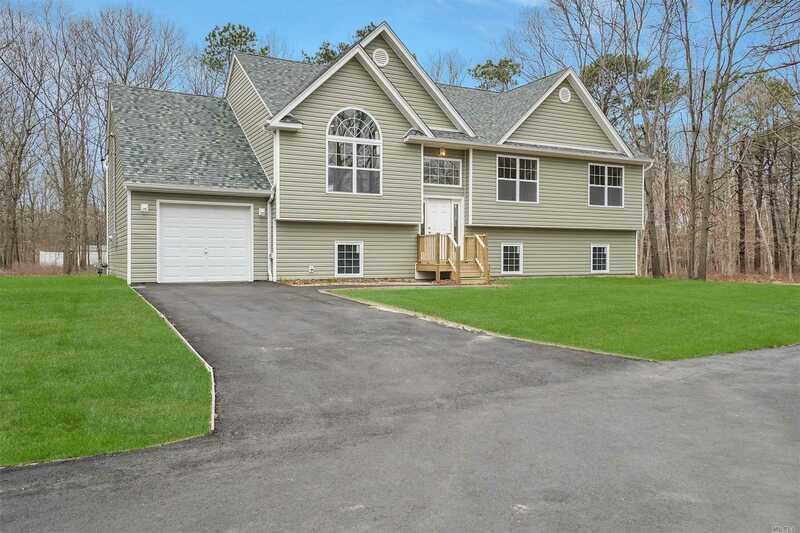 Welcome Home To Yaphank Meadows. Construction Completed On This Beautiful Hi-Ranch Offering A Living Room W/Cathedral Ceiling, Dining Area, Eat In Kitchen, Owner's Bedroom W/Full Bath, Two Additional Bedrooms, Full Hall Bath, Hardwood Floors, Granite, Full Basement With Approx. 9' Ceilings And Walkout~ Serene Location With A Private/Shared Road. Conveniently Located Transportation, Highways, Dining, Shopping and More. Purchaser To Pay Customary Builders Fees.